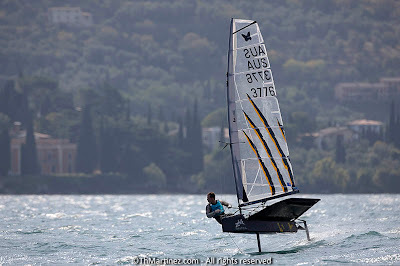 In a first for the coolest dinghy development class, the Moths will rip up Lake Garda in Mothapalooza, a competition that celebrates artistic style and personality. 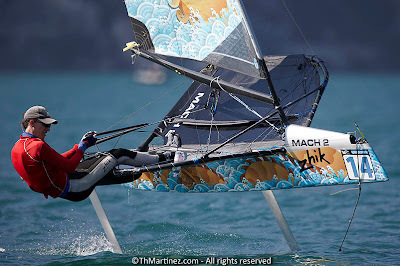 Coinciding with the 2012 Zhik Nautica Moth Worlds, from August 19 to 26, the competition is all about making your Moth a true creation that is unique and awesome to watch. The"palooza" of Moths are currently tearing aorund the foreshores of Campione del Garda in a bid to win the 5,000 Euro first prize. "Zhik is proud to sponsor this competition, the first of its kind anywhere in the world", said Brian Conolly, founder and managing director. 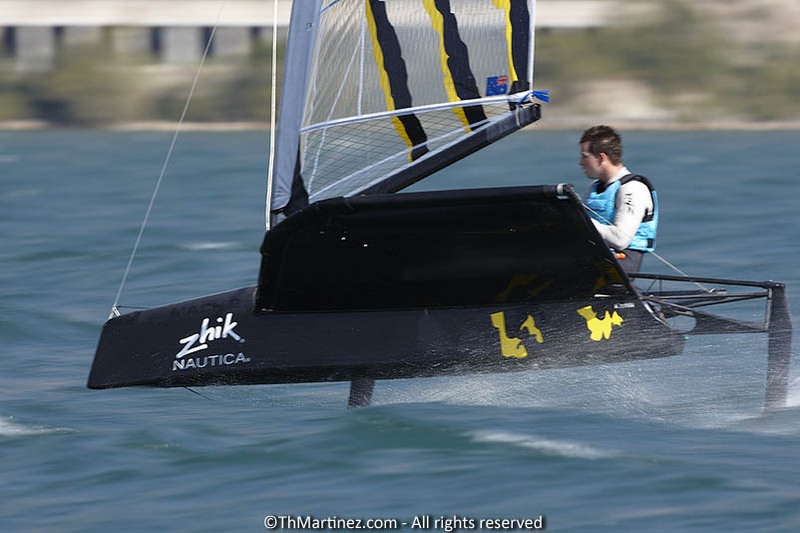 "I believe this will begin a new trend in sailing, and hope the idea will catch on across many classes over time. We certainly plan to build on its success here, and make it an important element to the Moth Worlds regatta every year." It is an opportunity for Moth sailors to express art across a mobile, floating canvas. Mothapalooza™is aimed at demonstrating to the world that this floating canvas can be a worthy spectacle in itself. In addition to celebrating wind, water, waves, lifestyle and sportsmanship, it adds cultural diversity, personality and uniqueness to the mix. Something more for the observer of the sport that also elevates the profile of sailing. 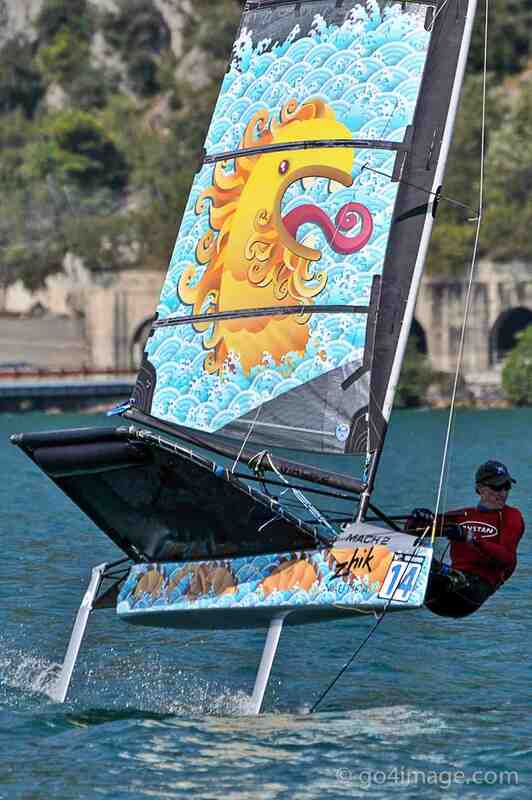 There are some wicked entries to check out including the Alien, Zebra, Dragon or Flying Hellfish themed boats. 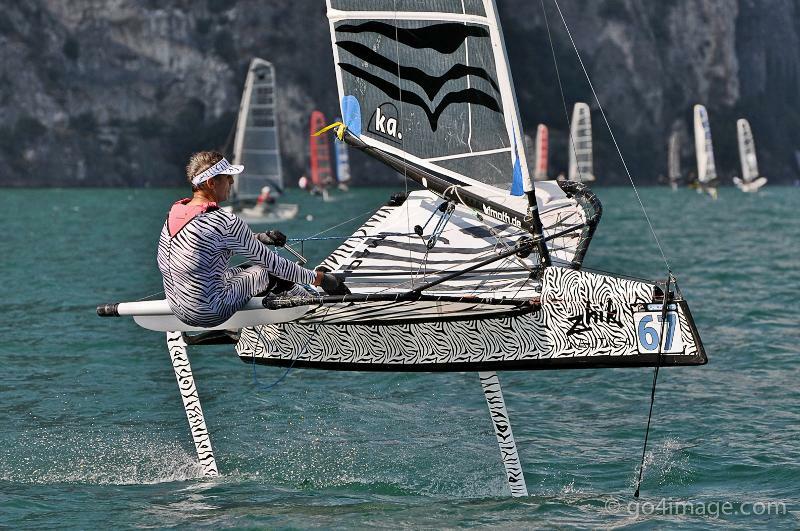 Moth sailors are showing off their innovative skills by applying their artistic flair and creativity to the odd profile and sail of a Moth, often matching it with their own attire. The pressure is on to look good and also go like a rocket. Three judges will score each boat across four categories; Sail, Hull/Foils, Self and Overall Integrity and these will be combined in deciding the winner. 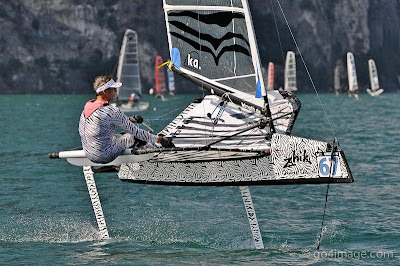 Competition is intense with a E5000 Euro cash prize at stake and E1200 Euro clothing kit prize packs from Zhik’s dinghy range.